Try not to get your hopes up - especially in the light of recent events - but it looks as if Nintendo is about to announce the release of Game Boy Advance games on the 3DS eShop. 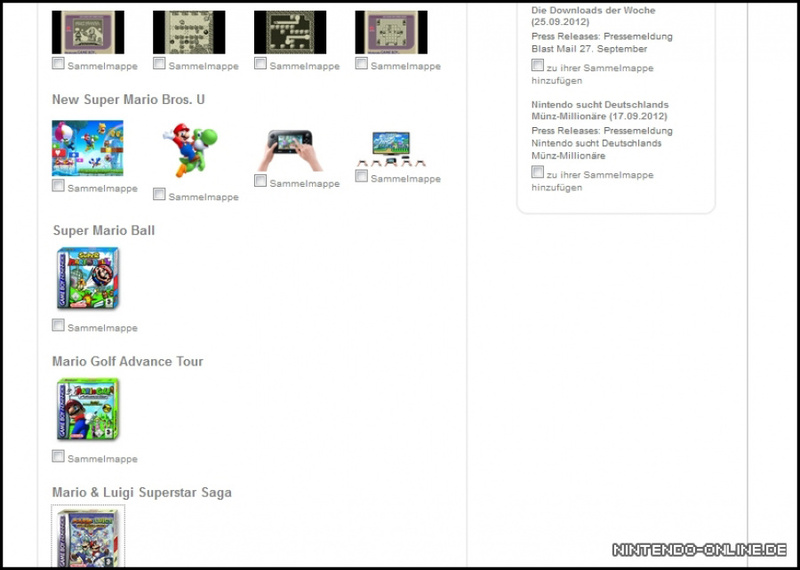 Spotted by German site Nintendo-Online.de, a trio of GBA covers have been uploaded onto the Nintendo Europe press server, with Super Mario Ball (AKA Mario Pinball Land), Mario Golf Advance Tour and Mario & Luigi Superstar Saga being the games in question. Nintendo announced today that a special Nintendo Direct will take place on Thursday and that the 3DS eShop would undergo maintenance just before the presentation. Could this finally mean the advent of downloadable GBA titles on your 3DS? I hope so! The GBA deserves a spot on the VC! 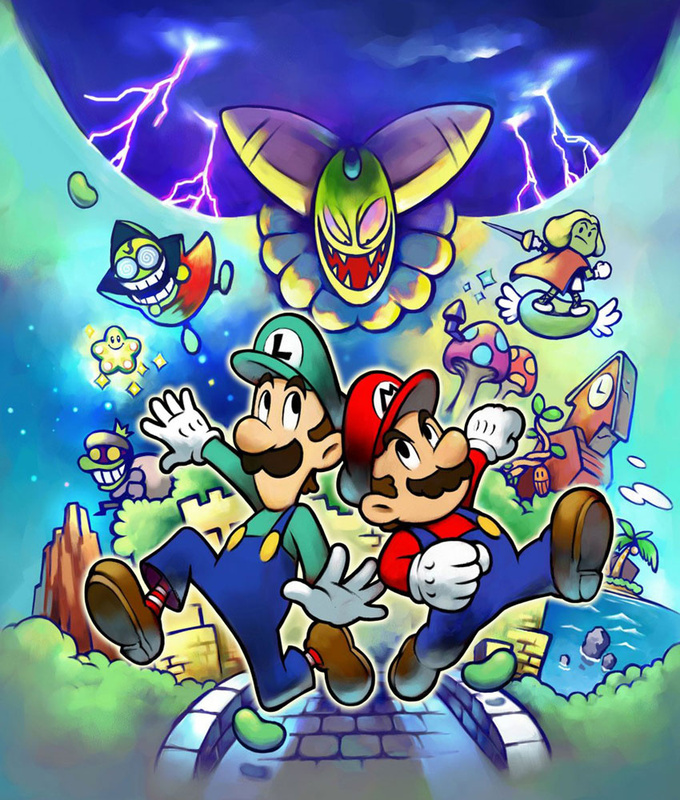 Mario Golf and Mario and Luigi: Superstar Saga will be very welcome additions to the eShop. I recall Mario Pinball Land got HORRID reviews back in the day, but I guess they can't all be winners. It's certainly possible, I guess. Also, Mario & Luigi Superstar Saga is my favourite game of all time, so I welcome all GBA games with open arms. Superstar saga is THE BEST handheld M and L game ever made, so please, yes do it! I would buy Mario & Luigi superstar saga in a heartbeat. That'd be great. 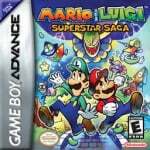 Mario & Luigi: SuperStar Saga is THE best GBA game IMO. I'd buy it in a heartbeat. Now all I need is a Wii(U)make of Kirby Air Ride and I'm set for life. Seems so. Guess we will have GBA games on the eShop. I agree with everyone here: Superstar Saga rules! Please come to VC! If Superstar Saga came to the eShop I would lose my sh*t and buy it in a heartbeat. Superstar Saga was unfortunately was one of the few GBA titles I missed out on due to lack of knowledge and internet at the time. (I think I was about 7 when it came out) I've been wanting to play it ever since I played Partners in Time on the DS. Unfortunately when I sold my DS Lite for a DSi It didnt occur to me I was losing the GBA backwards compatibility function so I was never able to buy this game. But if it comes to the eShop I will buy it like no tommorow. I NEED TO PLAY THIS GAME DAMMIT. I would love to try the Sonic Advance series, actually. I don't know what makes Superstar Saga such a good game. The gameplay is boring, the script is kind of lame and the sence of humor is very bad. However if they somehow managed to polish the GBA emulation (which now is not as good as it should be) on 3DS more GBA games are more than welcome. I still have a lot of GBA games and play some of them sometimes. Recently I replayed the 3 Castlevania games and Metroid Fusion. Yes please!! Every time I take a survey on club Nintendo where it asks the question; what would make you reture to the eshop I always put GBA games. I've must have done that like 40 times! I will take two of those games listed and be just happy with that for now! I'm taking the games that are not named Mario Pinball Land...if they reach here to the US, that is. Great that GBA games may come to Eshop but I don't want any of the games mentioned. I love pinball and all but Mario Pinball looks so blah and not much to do with actual pinball. Well, this might turn out to be "a mistake" like last time, but I say they will be available sooner or later. Ok - I'm always of the assumption that GBA games arent coming, but this evidence is getting harder and harder to argue with. It still makes no sense though. Why GBA games so early? We havent got all the NES titles yet, only have 1 game outside of that, only have a couple of GG games, etc, etc. Nice, I was kind of hoping the maintenance would be multiplayer gameboy vc, but if this turns true and happens, that would be awesome. Please let this be true. I'd like to expand my GBA library. DARNIT USA WHERES ALL OF YOUR GBA ANNOUNCEMENTS?!?!?!?!? @TysonQ7 I don't think another version of Kirby's Air Ride will happen, Masahiro Sakurai, the creator of Air Ride, resigned from Nintendo after making that game and formed his own studio, Sora Ltd, which helped make Super Smash Bros Brawl and Kid Icarus Uprising. I'm not getting my hopes up, but I'd like it to be true. Superstar Saga is the only one of those three games that interest me, though. Bring Mario and Luigi Super Star Saga to the eShop and I'll give you all my cash. Why should I pay to get Superstar Saga now, when I've beat it 3 times already? Because it's the best damn game ever made, as pix can asses too. Ok this is really obvious now. Cool Nintendo! I'd love me some Mario&Luigi. I didn't even get that as an ambassador game. May someone please give me a link to this? I can't find it. The original site for this, not the source. My Superstar Saga cart... it is losing the ability to save. Please, PLEASE let this be real. Please. Superstar Saga & Pinball Land, pwetty pwease!!!! (USA) Shut up and take my money! (UK) Piss off and take me pounds! Oh lord PLEASE don't let this just be a total coincidence...The only thing that makes me nervous is....where is the US in all this rumor hupla? Europe os getting a direct on the 4th and buth the European and Japanese shops are going down around that time. Where's out direct? Where's our maintenance? Why, Nintendolife? Why must you toy with my emotions so? Oh my gosh it all makes too munch sense! Please let this be real, PLEASE! This can't just be the biggest coincidence ever. Well, maybe the US will get it too... Maybe. Oh man, oh man! A previously pessimistic prognosis of prospects evolves into hype! This 'news' and the maintainance are a tad bit too coincidentally close to each other for this not to be true. You never know though, people pull pranks all the time. If it's true though, then YAY! I hope Metroid Fusion comes to the VC. There's my favorite video game of all time, Mario and Luigi: Superstar Saga! Please make this happen in the US. Where's Pokemon? Nintendo must not like money, because GBA Pokemon would be an instabuy for a lot of their consumers. I've never played ML:SS, but I've all ways wanted to. Really hoping for this to be true. I CAN FINALLY GIFT SUPERSTAR SAGA TO EVERYONE I KNOW!!!! Well no I guess I can't do that exactly but at least I can actually reccomend it to them now that they can actually get it easily. Neat. Hopefully they add some GBA games I don't have already. I've lost faith, to tell you the truth. KEEP THE FAITH. US may get this. I hate doing stuff illegal. I am changing. I loved the Gameboy Advance commercials I always wanted one. Now through illegal methods, just ruins it for me. NINTENDO needs to crack down on piracy fast because it is just wrong. Sure I admit I did it, but it was wrong. Once this is true (yes thinking positive) I will buy every single Gameboy Advance games in the eShop. Will this speech get me banned again? Because I think I made my point across. Case in point DON'T HACK. I agree with you Baba, i also download game illegally but if they came to the eshop, then i would sure as hell buy them cause i want them in a portable mode instead of being in the computer sitting and playing with a keyboard, much mor fun on console. Will they finally start doing GBA games? That would be awesome. They're a little late though. I'm getting a Game Boy Player and will most likely be getting games like that instead. And also: Can Gameboy Player be back? For the 3DS/Wii U connectivity. And e-Readers?. If you want to see Game Boy Advance games on eShop, give me a HELL YEAH! So many games I've missed on GBA over the years. I hope this is true! I wonder how the majority of (3DS) Ambassadors must feel about this, in relation to the (specific topic of) (greater-than-medium/middle) possibility of once-only-Ambassador games being made available to the general public, despite the obvious fact that Ambassadors got a set number of games free, that others have to pay for. I'm not an Ambassador, but even I would have to say that such an event would, to me, lessen the value of my "freebies"/"recompense"(even though they're not really free), that were given to me, in exchange for me buying a 3DS early in it's (commercial) lifespan, & then the price-drop. Then again, to some degree this has already happened, as I recall Super Mario Bros., & The Legend of Zelda were Ambassador games, weren't they? Or am I wrong there? I have no trouble admitting I might be wrong here. lets get the stupid mario games out the way and bring on all 3 castlevanias for gba. Maybe the reason theres no rumors for the NA e-shop is because they're letting Europe have first dibs for a change (if its true anyway). Sounds good if it actually happens, I'm looking forward to finding some hidden gems making their way onto the shop. Games like Robopon and Shining Soul that get overshadowed by the more well known and popular series. I think my life is fulfilled! I must be dreaming because I swore I saw Mother 3.......haw never gonna....who knows? I hope this turn out to be true for all regions. I'd love the chance to get some of the GBA gems I missed. Im holding out hope, and here is why- remember when Sega's financials were leaked, and they denied it...then shortly after admitted it? Until the day and date that higher ups allow it, reps can NOT talk about things like this. So if Nintendo hasn't green lit an announcement, they can only say they have no new plans or no comment. oh please please please let this be true.. GBA games would seriously push eshop sales up like a rocket. and there are so many great titles they could choose from! but yes if it is true then i'll be grabbing mario & luigi superstar saga straight off the bat! I just thought of this, the update could be a gift function! Hopefully Nintendo moves these games into 3DS Mode and not have the ARM Processor run them natively. If this does turn out to be true that Nintendo Of Europe is getting GBA games first, then I HIGHLY WELCOME it with open arms. True, I would love to replay Mario & Luigi: Superstar Saga and Mario Golf: Advance Tour again. Who wouldn't? 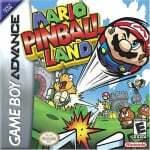 Mario Pinball Land is one I ain't to crazy about tbh. As for other games, I'd love to see the two Golden Sun games and both Metroid Fusion and Metroid: Zero Mission , and Mario Tennis: Power Tour emerge. But then again, this is just rumor to me for now as I'll wait to see what NOE has to say on this all when 10/4/2012 hits. Let's all hope this is true. Hm...if this turns out to be true, the price will be a concern. I suspect it'll be around the price of a 3D classic game for a GBA title. My sister enjoys my ambassador games on the 3DS I HAD TO GIVE HER. I'd get Sonic advance 3 if it was available, as I didn't get it all those years back and definitely not Spyro games. GBA widescreen would look nice in 3DS/XL! Would be nice. I'd have preferred to have the Ambasssador GBA games come out first, just like the NES games. Hoping there's some big update coming for the E-shop. BTW, looking at the Japanese Nintendo site, I don't see anything about any upcoming maintenance, it might say so on the actual e-shop though. Just...from what I'm seeing, there's no indication on the Japanese side at all about any of the GBA info. Dont you dare toy with me!!! This better be true or i'll just snap!! Actually, the big update we've been getting on the Japanese e-shop was more retail downloads, quite a few of them actually. Ocarina 3D, Mario 3D Land, Mario Kart 7, Doubutsu no Mori (Animal Crossing), Star Fox 64 are all coming on the 3DS e-shop. That was our recent Nintendo Direct. It might be the same for Europe with this one coming tomorrow. G'Lord! Superstar Saga is a heavy hitter and an all time great. That would be amazing if it came to the eShop. 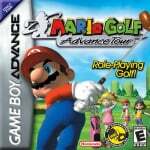 Mario Golf Advance is decent as well. Very decent. Mario is nice and sll. I would pay $30 for it and buy a ton of Nintedo's merchandise. If this is indeed true, it would be great news! However, if true, they should really release more games per week. Superstar saga on my 3ds??? Yes please! hmm.. i just realised that nintendo will probably ask full price for these if they do start making them available. if that's the case then i dunno... i might just pick them up used on the net then. can i justify paying almost 3DS prices for a GBA game? They will become available and some point I think. @wuuds What makes you think they'd sell them at the same prices as 3DS retail games? We don't even know if they're going to put them on the e-shop yet, and there's no indication of price at all. Its too early to say on something like that. Either way, I've seen no information at all that would point to them selling them at a price above anything on the e-shop at least. I can play GBA games on my DS so I'd rather they focused on getting more GB/GBC games on to the eshop as well as Virtual boy games so that I could play Virtual boy Wario land. Oh Nintendo, please don't tease so. All three are day 1 insta-downloads. Especially the golf. The hours I spent playing that and then linking with the Cube version. It got to the point where no one would play with me anymore since my stats were insane. I really hope this happens. There's a lot of GBA games I missed out on. Take my money Ninty! @Tsuchinoko You think what i said is that unreasonable? and i didn't say 'same price' i said 'almost 3DS prices'. i just can't see them selling a game like Final Fantasy VI for less money than VVVVVV or even Mutant Mudds. Or let's look at the current 'buy in stores' options on the eshop like New Art Academy and Freaky Forms. Ok so I guess they will be less than a 3DS game like Resident Evil Revelations but i don't eactly think they will be 'cheap'. do you? I'd buy Mario Golf if this is true and SSS later on perhaps. @Wuuds ...I didn't say unreasonable, I just said its too early to say, and there's no indication of what the price would be. In either case, I don't know what the prices in your country are, but in Japan most of the e-shop titles are between 400-700 yen, with the occasional title like The Rolling Western or Denpa Ningen being around 1000. The retail games are 4000-6000. That's a huge jump. So "almost 3DS prices" would be what price exactly? I'm expecting 700-800 yen for the GBA games, which I think is totally reasonable. Just give me Riviera: The Promised Land and Yggdra Union: We'll Never Fight Alone (especially YU since my cart's finally starting to kick the bucket. Played the hell out of that one). There's a few other lesser-known titles I'd enjoy seeing, like Dark Arena and Megaman & Bass. If this is true, it might give me a reason to buy a 3DS. The only con is that I wouldn't be able to play my existing GBA games on my 3DS. @Tsuchinoko look i already said i might have jumped the gun on the 3DS prices thing. that should be enough. You know, I saw that same Nintendo Direct on YouTube last night before I went to sleep. I think it's good that Nintendo is trying to make more of an effort to get "past" 3DS games out onto the eShop as Digital Downloads. It's good for business imo. But just remember one thing, just because GBA games haven't shown up yet on the 3DS page on Nintendo Of Japan's site yet, doesn't mean that they can't go in there and update their site again within a couple of days for any sign of any upcoming GBA games for 3DS VC. I do think that, when they do come up, from what people have been saying, the solution to the Ambassador GBA games being so outdated in their features would be for them to download the new updated versions for free. I don't know if a simple patch-type update will work on those games as they currently are. I could be wrong, but that seems like a logical solution. The more I think about this, the more I'm starting to wonder if Nintendo Of Europe's Nintendo Direct is going to be something like what the Nintendo eShop Nintendo Direct was. I mean, they have that new Animal Crossing: Jump Out!! Nintendo Direct coming to Japan on 10/5/2012 , and I believe Nintendo is scheduling that for a 11/8/2012 release because I noticed there is an Animal Crossing themed 3DS Bundle set to be released that day also. But still, I hope this possible GBA announcement shows up in some form. @3DSLUIGI I think it will show up, fairly soon considering that all of the NES/Famicom Ambassador games are out in Japan now. I think it will either show up as an announcement in Japan first, or all regions at around the same time. Of course, I'm not saying this GBA EU press site thing isn't part of any eventual announcement though. All of those seem like potential titles. Like with the NES titles though, I'm expecting the Ambassador titles to come out first. I do hope so too, since I want like, half of those titles. @Tsuchinoko - Exactly. They wouldnt announce GBA games solely in an European Nintendo Direct. They would announce it in all regions at once or only in Japan at first. It also seems unlikely since we dont have all the NES Ambassador games yet. For all we know the GBA games for sale (if this is true) will only be games not available for the Ambassador program. @Geonjaha That's a possibility too, though I'd be disappointed, since I'd love to have some of those titles. Of course, there are plenty of non-Ambassador GBA titles I'd like to have as well. I'll be happy with whatever they offer. Other regions have been dragging their feet on the NES/Famicom Ambassador titles. We got the final one in Japan September 19th. All I have to say is, Pokemon Pinball, please. I'm one of the ambassadors, I actually got my 3DS the same day the price cut (and the ambassador program) was announced, just because it would mean I'd get those GBA games I'd have a hard time tracking down otherwise, for free. I have absolutely no problem with GBA games coming to the eShop, I've been waiting for that since I got my 3DS. I don't mind it if the ambassador GBA games get added there either, because why wouldn't everyone else get a chance to get them as well? It's not like Nintendo will suddenly make ME pay for the games I already got for free. So I won't lose anything. However, I seem to recall that when the ambassador program was announced, they said that the NES games would later be updated and released to the eShop so anyone could get them, but they had no plans to do the same with the GBA ones. So who knows. Either way, I hope for the non ambassadors that they will add them sooner or later, and that we'll get GBA games in general soon, especially Superstar Saga. I wonder when the US will get these if this does happen. I will get Superstar saga. It would be excellent to see Nintendo put GBA games on the eshop. It would be even better if they released some multiplayer games (like Sonic Battle) with new wireless multiplayer like they did with Four Swords Anniversary Edition. I still can't see this is happening. I don't think NA is getting a Nintendo Direct and I doubt that they would do a huge system update to allow GBA game compatibility without making it a world wide thing so I'm taking this with the tiniest grain of salt. @grumblebuzzz Well yeah, they would need a huge worldwide update for the Ambassador games, either that or just have the program members download the new files for free and delete their old ones. They wouldn't need an update if they released non-Ambassador GBA games though. No way this N. Direct is about GBA on the eShop. BUT for what it's worth, I'm playing Mario Golf Advance on my still-working GBA SP and I'm loving it. Took me awhile to get used to the Story Mode, but it's a neat way to flesh out the experience. Darn that Links Course is tough! @Tsuchinoko I know it wouldn't take a big system update to put GBA games on the server and that's why I said that all the commotion about the eShop maintenance being GBA games didn't make sense. In honesty, it was probably so they could update NSMB2's coin rush mode to link with the eShop. I really hope it's true this time! !